The Buddha, Christ and Gandhi-the great three are universally regarded as harbingers of harmony, compassion and peace, the first of whom once again being revived in modern times to sort out the present day problems of unprecedented violence and terror- the Holy Dalai Lama being one powerful expression of his being one powerful expression of his message and piety. His was history’s first religion of peace which spread all over Asia, including its western regions, without any use of force, and holds its lamp in the East regions, without any use of force, and holds its lamp in the east in particular till date. Latest researches in Germany are succeeding in establishing that Jesus Christ was one in the Bodhisattva tradition, who not only stayed and studied in India when he was young but returned to Kashmir after his crucifixion, in which he did not die and escaped with his followers to Srinagar, where he live till age 90, and where his tomb still quietly stand. 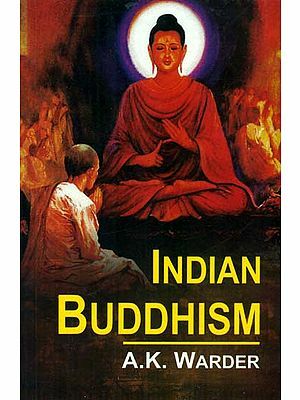 The life-stories of Lord Buddha by various authors are not complete, and end when he takes up the role of the preacher. He tour for several decades and lays the foundation of his unusual religion. As he grows old, his life takes a different turn, and several of these years are highly instructive and interesting. 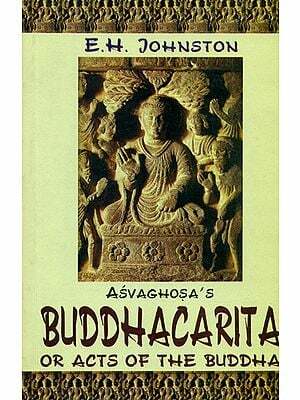 Fortunately, these years are recorded in the famous ‘Mahaparinibbana sutta’, which is presented here unabridged. It also completes the story of his life devoted to a new philosophy and the movement that developed around it in later years, and which continues till date. 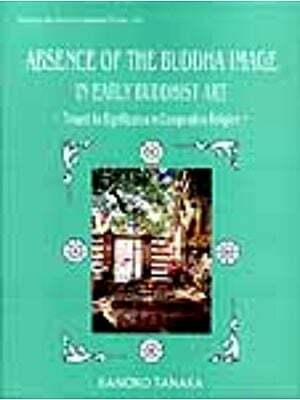 An added chapter is the famous sutta Sukhavati Vyha, a detailed description of the Land of Bliss. India Book Varsity provides the of philosophy, religion, arts and history of the most ancient, essentially thought oriented secular-democratic, federative and peace-loving community and culture-India-for the new generation now spread all over the world, looking for their roots, identity and seeking authentic knowledge about it. This is in part a revival of already published works of great quality by Western scholars over a century ago, thoroughly edited keeping in view the mindset and requirements or the present-day fast progressing youth, and the globalisation of life in all its aspects, Over three dozen volumes have so far been published in this series. The Series-Editor, Mahendra Kulasrestha, has been the first editor of the well known Orient Paperback and has been associated with the Bharatiya Vidya Bawan, Mumbai; V.Vedic Research Inst. Hoshiarpur, Ph. ; Vision Books; Rajpal and Sons; Indira Gandhi Memorial Trust; HUDCO; DDA (slum Wing); SEWA Delhi etc. He has planned and edited the useful Public Concerns Series, and been Consultant Editor of International Books Update. His books include: Japan-an Enigma, an Anthology of Japanese Literature in Hindi, Tagore centenary Volume, the Genius of Tagore, Aspects of Indian culture, world Poetry Number of a Hindi Literary Magazine, An anthology of Hindi Short Stories, existence and other Poems (English Translation of Amrita Pritam’s poems), A study of Western Philosophers in Hindi. Etc. Buddhism is historically the most important religion because it was the most tremendous movement the world ever saw, the most gigantic spiritual wave ever to burst upon human society. There is no civilisation on which its effect has not been felt in some way or the other. The followers of Buddha were most enthusiastic and very missionary in spirit. They were the first not to remain content with the limited sphere of their mother church. They travelled east and west, north and south. They went into Persia, Asia Minor, Russia , Poland…china, Korea Japan… Burma , Siam and Beyond. The civilisation of India has died revived several times. This is its peculiarity. At the time Buddha was born. India was in need of a great spiritual leader. There was a most powerful body of priests… The Brahmins began to arrogate powers and privileges to themselves. If a Brahmin killed a an, he would to be punished, even the most wacked Brahmin must be worshipped…two thousand ceremonies they had invented. India was full of it in Buddha’s day. At last one man could bear it no more. He had the brain, the power and the heat-a heart as infinite as the broad sky. He learnt why men suffer, and he found the way out of suffering. Buddha was the first great preacher of equality. 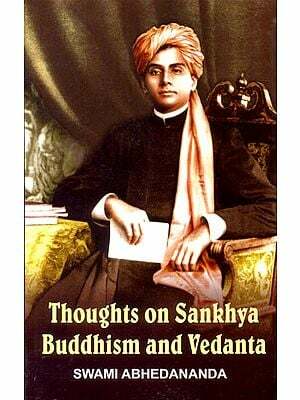 Every man and woman has the same right to attain spirituality, he opened the door of Nirvana to one and all, even the lowest were entitled to highest attainment. His teaching was bold even for India. The religion of Buddha spread fast, It was because of the marvellous love which, for the first time in history of humanity, devoted itself to the service not only of all men but of all living things. Buddha’s idea is that there is no God, only man himself., He repudiated the mentality which underlined the prevalent ideas of God. He found it made men weak and superstitious . Everything independent is happy everything dependent is miserable. All my life I’ve been very fond of Buddha. I’ve more veneration for that character than for any other-that boldness, that fearlessness, and that tremendous love! He was born for the good of men. He sought truth because people were in misery –how to help them. Was his only concern. And consider his marvellous brain! Believe not because an old manuscript says so, but think for yourself, - then if you find it beneficial, give it to people. And consider his death. He ate food offered to him by an outcast, a chandal. He told his disciples not o eat him he has done me one of the greatest services of my life; he has released me from this body :< p> His method of work and organisation was quite striking. The idea that we have today of Church is his creation. He organised the monks and made them into a body. even the voting by ballot is the there, 560 years before Christ. It was the foundation of Christian religion; the Catholic Church came from Buddhism. He was the only man who was even ready to give up his life for animals to stop a sacrifice. He once said to a king.’ If the sacrifice of a lamb helps you to go to heaven, sacrificing a man will help you better. So sacrifice me.’ This man set in motion the highest moral ideas any people can have.